Home » Review » Arctic Ruby Oil Review | Is This Another One of Those Magical Fish Oils? Weight loss products don't usually come in the form of fish oil. In fact, today's product isn't really a fish oil. Nope - it's a great alternative which goes by the name Arctic Ruby Oil. It is an interesting, highly versatile supplement with solid user feedback and affordable price tag. Let's learn more about it! Having a tough day in the gym? 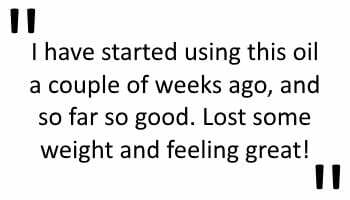 You’ve been having difficulties pushing through your workout sessions for a couple of days now and just can’t seem to find your rhythm? Maybe you’ve decided to start going to the gym in an effort to lose weight and bring yourself to perfection (or near-perfection, whatever you prefer) but you don’t want to start without researching as much as you can and helping yourself reach goals quicker? If you belong to any of these groups of people, and even others, you might be looking for the perfect addition to your transformation. If other supplements simply aren’t cutting it for you, then it might be time to start getting interested in what we have to say because, once you’re done reading about this product, you’ll surely be hyped for the next time you go to the gym! We’re talking about Arctic Ruby Oil; a product that has been the subject of debate yet is acknowledged as a breakthrough in weight loss. As with all supplements, we’ll be going through every category determining the usefulness of this product. That means we’re starting with the ingredients and then moving onto side effects, reviews and more! Arctic Ruby Oil doesn’t have weird-named ingredients that only a scientist would understand (it’s a joke of course), but it does come with all-natural ingredients. The product itself comes in the form of soft gels in the shape of an unusual egg. You might have already heard about such products with the most common one being Omega-3 supplements. They also come in this shape but Arctic Ruby Oil differs from it in a way that Omega-3 supplementation isn’t the main goal of this product. The goal of Arctic Ruby Oil is providing some extra energy, aiding in weight loss and fat burn, and improving stamina. Welp, that’s it. That’s the only ingredient. 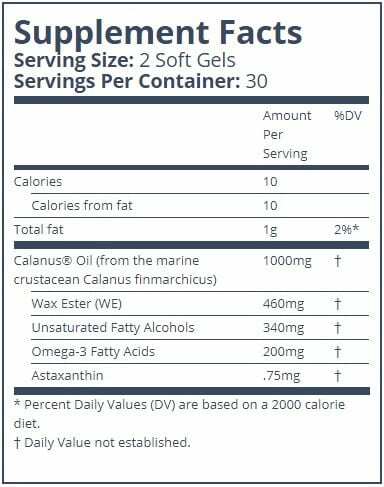 Of course, in the Calanus oil are a couple of other, ‘lesser’ ingredients that make up the soft gel. Now, you’re probably wondering what Calanus oil is? Well, here’s the answer: Calanus oil comes from a very tiny organism called Calanus Finmarchicus. It lives off the Norway coast and a couple of scientists behind this product have figured out that it’s actually incredibly healthy. The reason behind their conclusion is how it affects marine animals, seabirds, and mammals. Many of these creatures need Calanus oil to get enough energy for their migrating needs. As such, Calanus oil is starting to see use in humans as well. Arctic Ruby Oil is used to improve stamina, increase energy, reduce fat deposits (mainly near the gut) and is a crucial source of vitamins, proteins, antioxidants, and minerals. This is all thanks to Calanus oil – the main ingredient in this product. Omega-3 Fatty Acids have been increasing in presence over time. This is due to the fact that people figured out how good they are when it comes to lowering the risk of depression, arthritis, heart disease, and dementia. The downside of Omega-3 Fatty Acids is that our bodies can’t create them. Due to this, we have turned to supplement use. This ingredient is an antioxidant. It reduces the creation and numbers of free radicals in your body. What you probably don’t know is that it’s beneficial for eye health, skin health, heart health, and cellular health as well. Considering that there’s only one major ingredient in this product, the occurrence of side effects is incredibly low. However, fatty alcohols that are also present in this product, can cause irritation on contact (if exposure to them is constant and long). Fortunately, there simply isn’t enough of them in Arctic Ruby Oil to cause any issues. So, basically, you should be completely safe! Both of these reviews come from verified purchasers and these people know what they’re doing. You might also feel your joints improving as well since this is another benefit of Arctic Ruby Oil. In the end, Arctic Ruby Oil is nothing short of extraordinary. It does what it’s supposed to do and with no aftertaste either (some products that are similar to this one feature a fishy aftertaste that most people don’t like). It is a little bit on the expensive side, but considering what you get from it, it’s no surprise. We recommend this product for multiple reasons – whether you want to lose weight or gain energy, it is the product for you. Where to Buy Arctic Ruby Oil? Arctic Ruby Oil can be purchased on Amazon where you will surely get the best deal and fastest shipping Prices may differ from store to store if you opt for a reseller. An ingredient that was originally meant to be a super antioxidant. Is beneficial to a multitude of bodily functions including eye heatlh, and blocking UV rays (which are dangerous in themselves). Increased levels of Omega-3 fatty acids can help prevent the appearance of certain cancers, as well as reducing the risk of a heart attack. Additionally, Omega-3 fatty acids improve cardiovascular health. Irritation can occur for multiple reasons. It is a feeling of discomfort whilst touching something. How Much Does Arctic Ruby Oil Cost? It’s not too much but it’s not too cheap either. You’ll be able to get Arctic Ruby Oil for around $40, depending on where you purchase it from. As evident from the user reviews and the research behind the product – it works fairly well. Some people may feel like it just isn’t working, but it’s probably going to take a bit more time to receive all the benefits. Another reminder: Use it in combination with physical activity. However, you won’t have to change your diet drastically in order for it to work (like some products require). Where Can I Buy Arctic Ruby Oil?